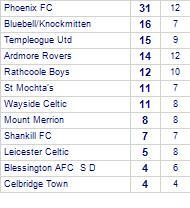 Ardmore Rovers despatched by St Mochta's. 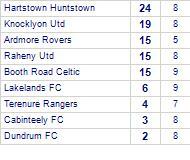 Greenhill's Boys beaten by Ardmore Rovers. 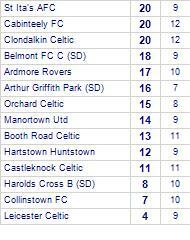 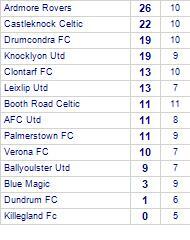 Belmont FC S D share spoils with Ardmore Rovers. 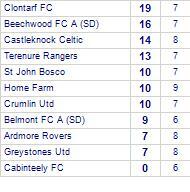 Belmont FC S D has yet to win in this competition. 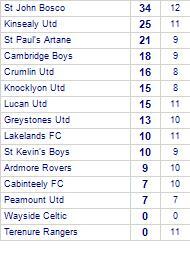 Ardmore Rovers has yet to win in this competition. 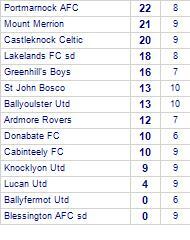 St Mochta's claim victory against Ardmore Rovers. 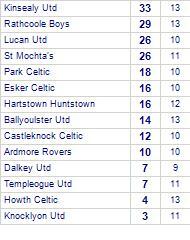 St Mochta's has yet to be beaten in this competition, having won 5 out of its last 6 games. 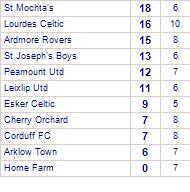 Orchard Celtic lose to Ardmore Rovers. 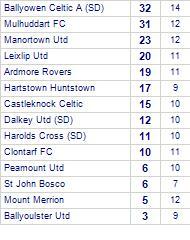 Mulhuddart FC take all points from Ardmore Rovers. 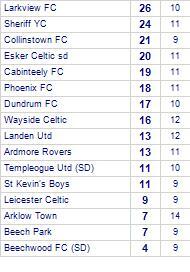 Ardmore Rovers take spoils against Celbridge Town. 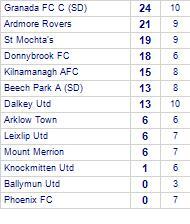 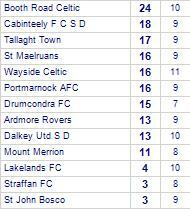 Arklow Town despatch Ardmore Rovers.